Feel the music on our huge dance floor! Throw a party at our VIP Lounge! Enjoy a good drink at the best club in Boston! New England’s premier dance club! Click here to see our VIP Promotional Video! ***** Vincent’s will be open on Thursday’s only when we have a special event only. Please click on Thursday to see our upcoming special events. Unfortunately the changing social scene and business considerations make it no longer viable to open on Thursdays without a special event. Look for upcoming special events on our website for future special promotions occurring occasionally on Thursdays. And please continue to visit us on Fridays and Saturdays at Vincent’s – Greater Boston’s only REAL nightclub! 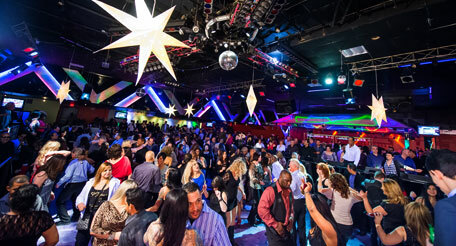 Friday Night is New England’s Hottest Latin Dance Party! Join DJ Baby Boricua & DJ Michael Mercado at Vincent’s while they play a variety of Latin music. Dance the night away as DJ Michael Mercado spins your favorites for today’s top hits, top 40 dance, old school R&B, and mashups. We are now offering full bottle service in our BRAND NEW VIP lounge! 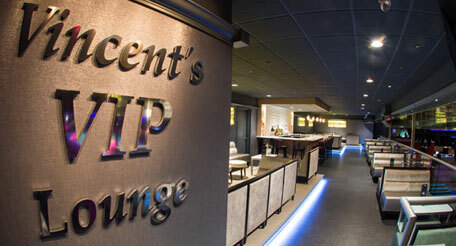 Throw a party or just have a great night out, Vincent’s VIP lounge is the place to be! Vincent’s Nightclub, the best nightclub in Boston!